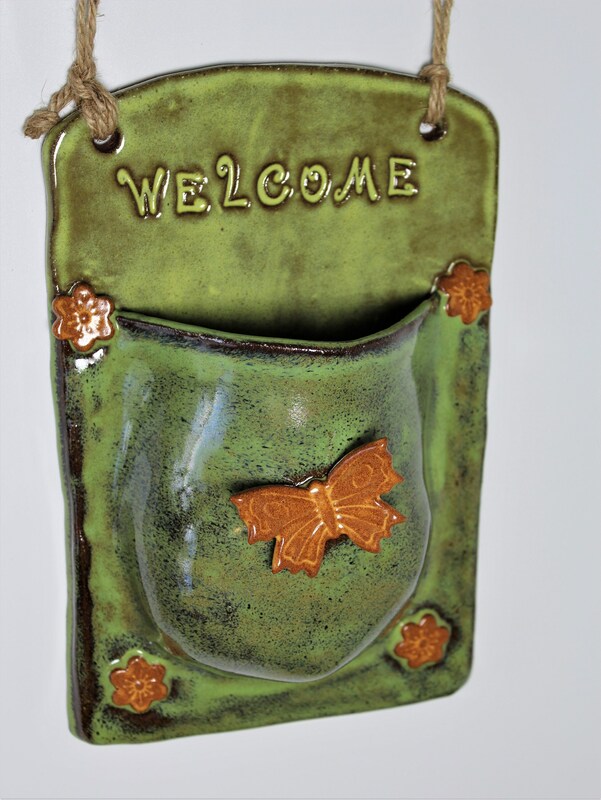 "Welcome" all who visit your home with my hanging stoneware planter. 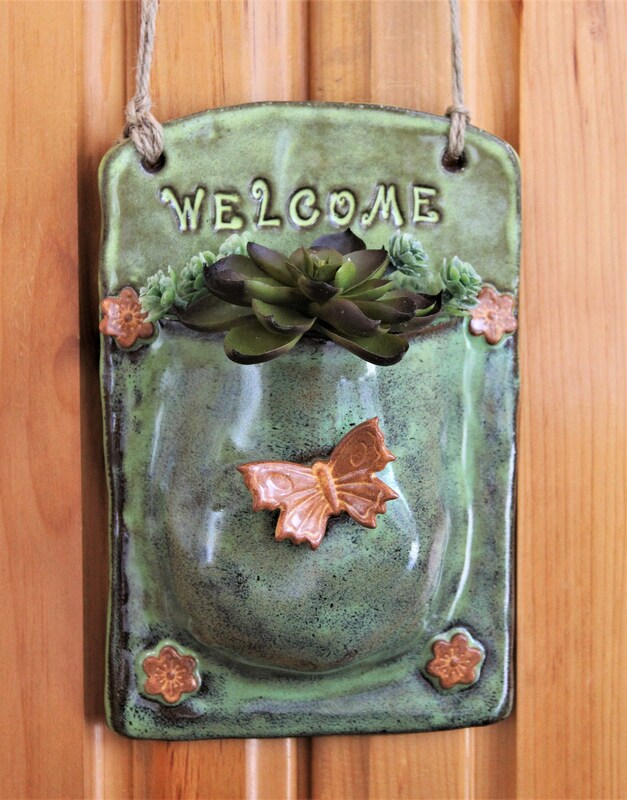 This planter also makes a thoughtful housewarming or birthday gift. Indoor or Outdoor Planter. 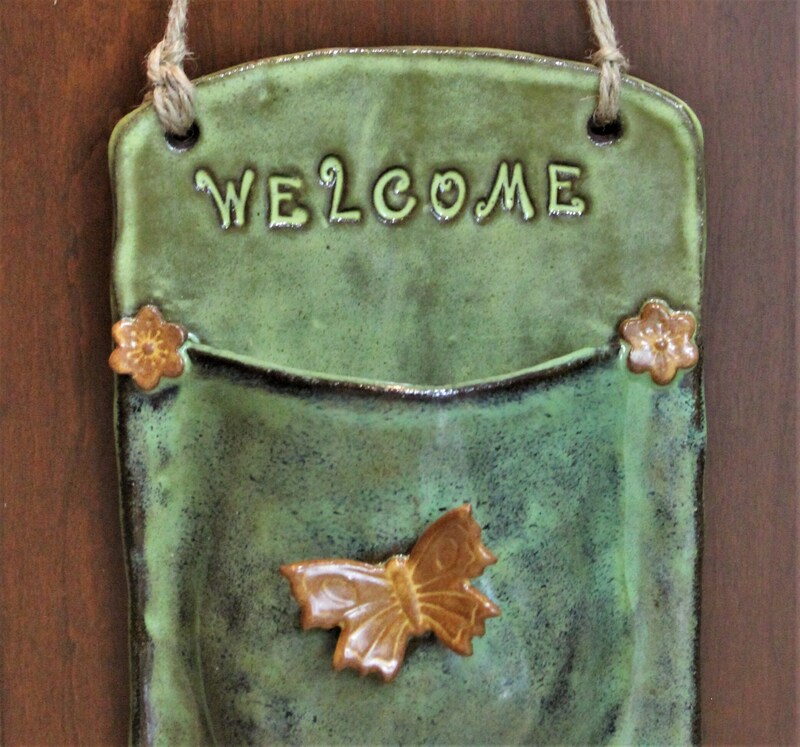 Stoneware construction allows it to withstand the outside elements (temperatures above freezing). 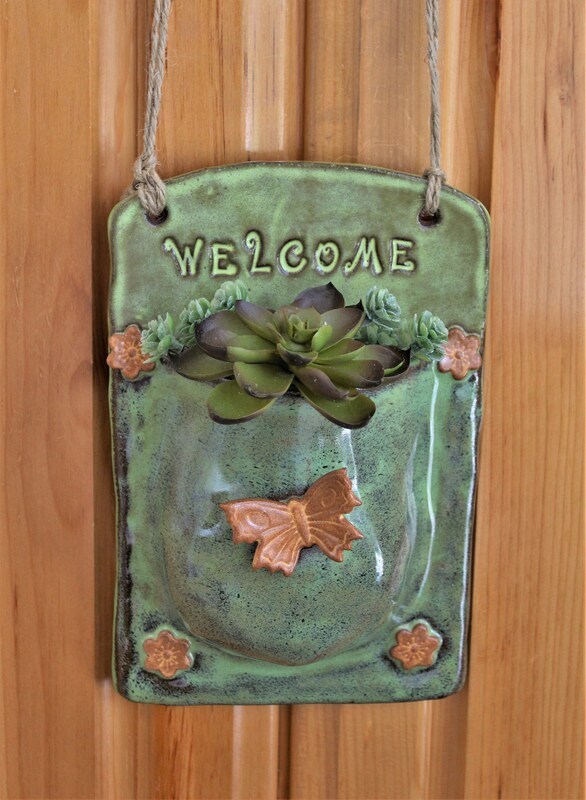 Display throughout your home as a planter to hold succulents or other small plants. The overall size measures 9" in height by 6" wide. The container portion of this planter is 2" in width and is 5" in depth. 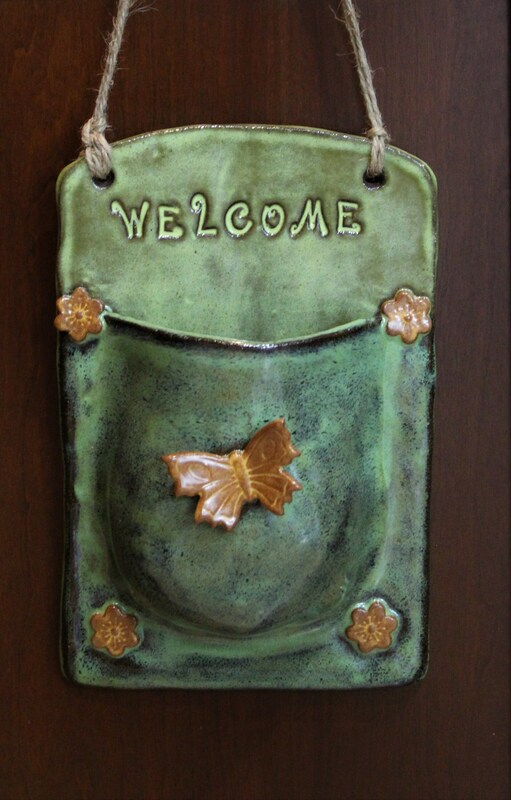 I created this planter from stoneware clay, and kiln-fired it to cone 5 for lasting beauty and durability. 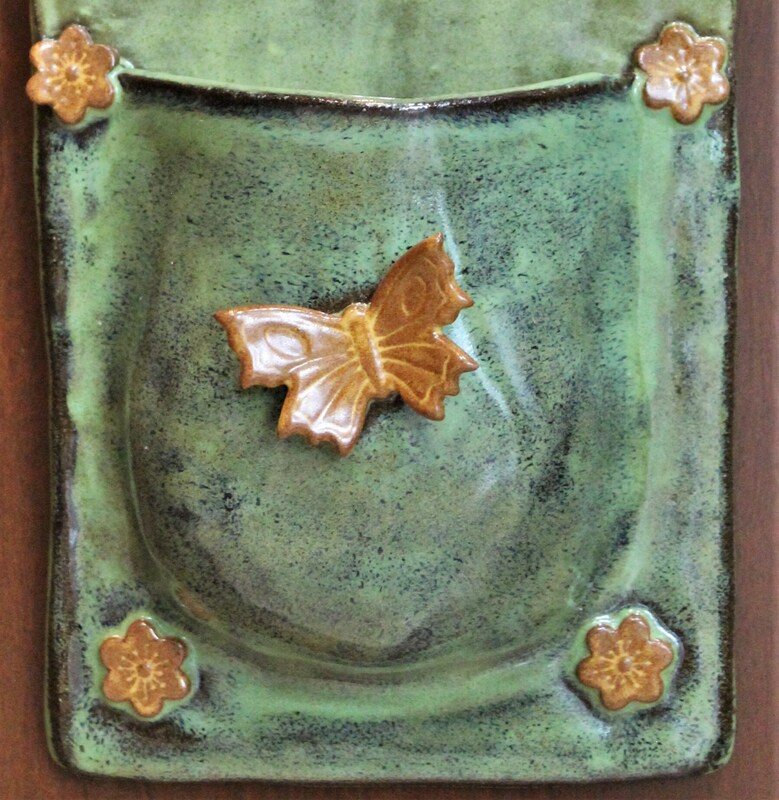 Accenting this rich earthy green planter is a large yellow butterfly and small yellow flowers. 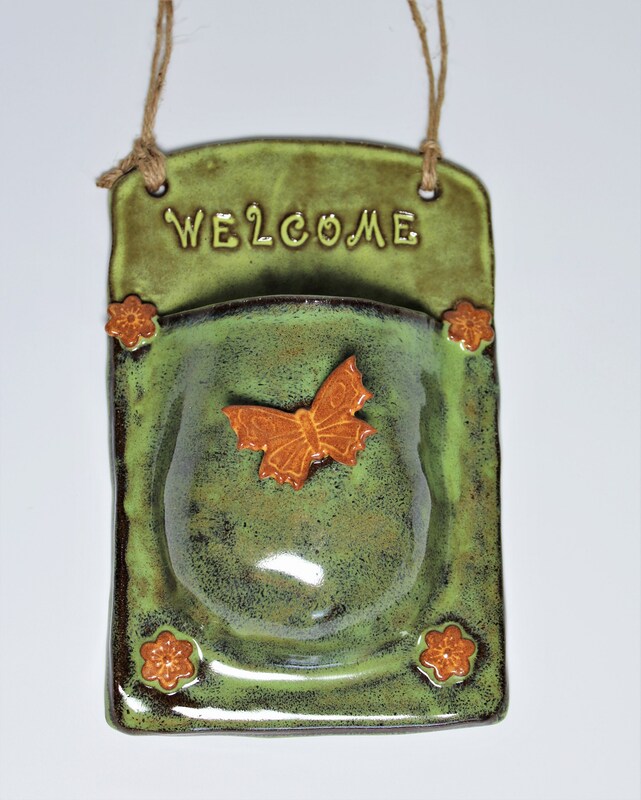 Near the top is the word "Welcome" that was pressed into the clay. FREE SHIPPING! Ready for immediate shipment to locations within the USA.